After reports of Bajaj Auto launching the new Avenger in India within a week's time, some photographs of the motorcycle are doing the rounds of the Interweb. 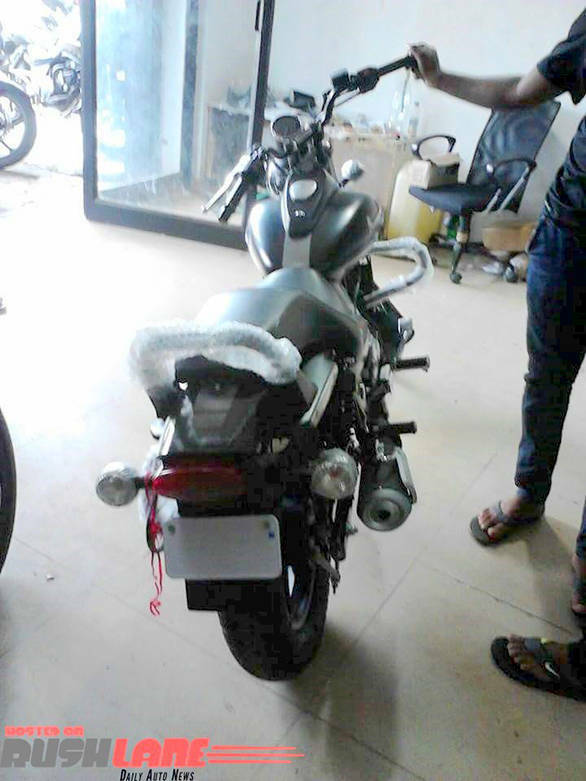 The new Bajaj Avenger has been spotted at a dealership in Goa and was also seen testing on the road. Note that both the motorcycles are different, confirming the fact that there will be at least three new Bajaj Avenger variants on offer. Rajiv Bajaj in an interview with Moneycontrol last week said that there are three Avenger variants to be expected and they should be launched within this week. The new Bajaj Avenger variant spotted in the dealership looks similar to err... the Harley-Davidson Street 750. 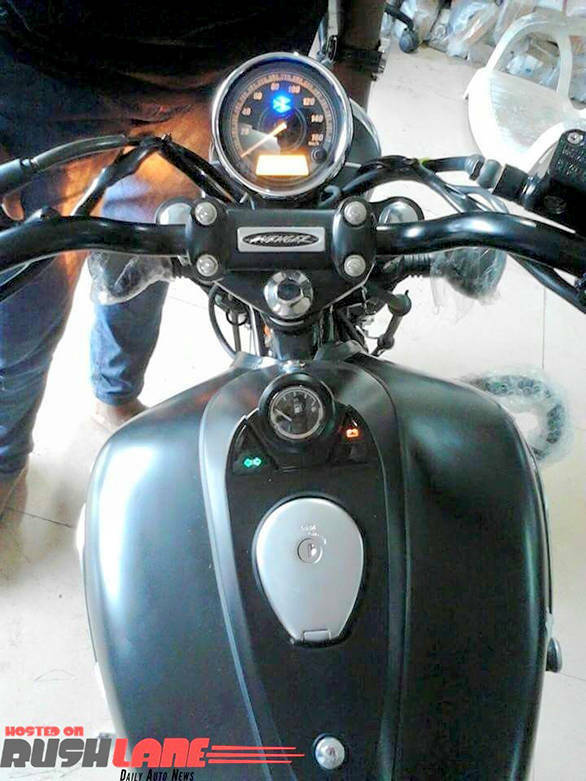 A badging on the side panel indicates that Bajaj too are using the 'Street' label. At this point, though, it's not clear if the term will be included in the official moniker. The motorcycle in the spy shots has an all-black theme. Features include suspension forks, black alloy wheels (a first for a Bajaj cruiser), low handle bar, pillion backrest, exhaust as well as other cycle parts. The new Bajaj Avenger 'Street' will borrow its powerplant from the Pulsar AS 200/NS 200. The gear ratios will obviously be altered to suit the sportster style. 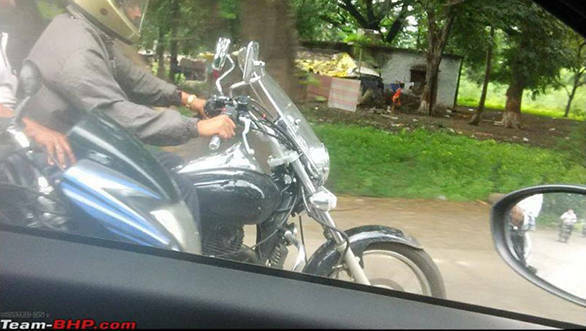 The other new Bajaj Avenger variant spotted was in its cruiser avatar. This one looks very similar to the current model on sale. There are a few changes though - these include the wind deflector, raised handle bars, exhaust can and more branched out mirrors. 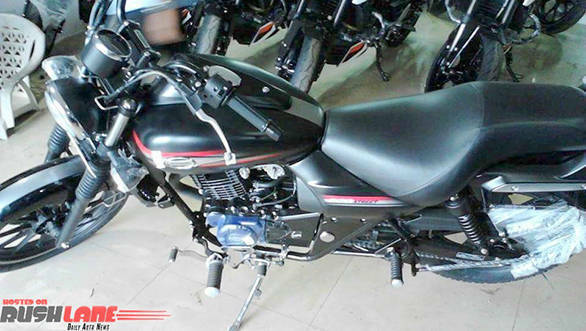 From the looks of it, this variant retains the old 220cc twin spark engine from the Pulsar 220. Expect the new Bajaj Avenger trims to cost more than the current motorcycle.